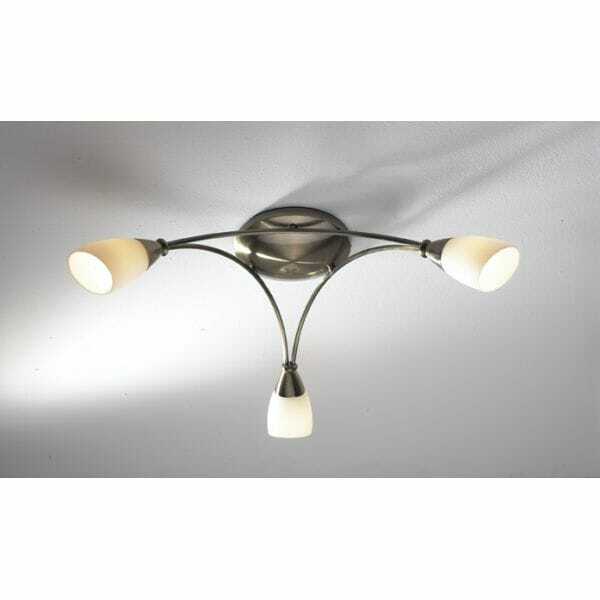 Dar Lighting Bureau 3 light semi flush ceiling fititng features a circular design ceiling plate with 3 curved arms in polished chrome finish holding downward facing opal glass shades. The product code for this Dar ceiling fitting is BUR0375. This modern design will sit well in most decors providing bright illumination for your home and is Ideal for rooms with low ceilings. There is a 6 light fitting and a double switched wall light in the range, which can be viewed on our website.